Debt pulls you down and it stops you from doing the things that you need to do. The best thing you can do in your twenties and at any time is to pay off your debt as quickly as possible and start saving and planning for your future. Here are eight common excuses that may be keeping you in debt instead of moving forward with your debt payment plan. 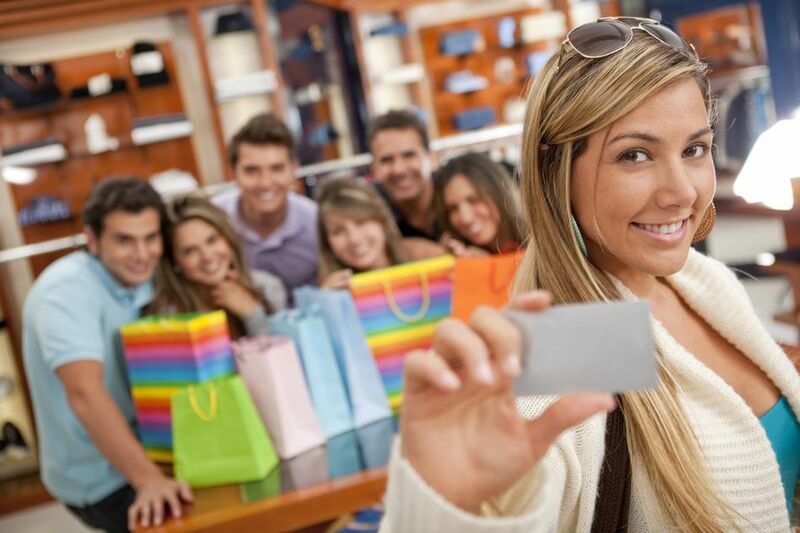 Many people argue for the merits of a using a credit card for the rewards. The truth is that the credit card companies only offer the rewards so that they can make money off of you. The majority of people with rewards credit cards carry balances forward, and often pay more in interest than they are getting cash back. If you are paying off your card in full each month, then it may be worth it, but if you are carrying balances, then you need to stop using your cards until you are completely out of debt. Another common excuse for carrying around debt is that it is just student loan debt. If that is the only debt you have, that’s great. However, you can still do more with the money that you are paying each month. Get focused and pay off your student loan debt as quickly as you can, especially if it is from private lenders. You do not get the tax benefits from a private student loan. Another common excuse is that the sale is too good to pass up, and even though you do not have all of the money now, you can pay it off later. However, do the math, if you are saving 10 percent on an item, but paying 20 percent in interest each month, you really do not have any savings. Additionally, it is just not a good idea to carry a balance forward. Unless it is a real emergency, save up for the item and then pay it off. All my friends have a little bit of debt, so it is okay to have some too. The truth is that the sooner that you can pay off your debt, the more you can do the things you want to do. Instead of settling in and being like everyone else, get out of debt so that your friends will look at you and wonder how you can manage to go on such great vacations or afford such a nice home. Getting rid of your debt opens the doors to the other things that you want to do. Many people have a difficult time understanding the difference between a true necessity and a luxury item. If you are in debt, and you find something you have wanted for a long time, you may begin to justify to yourself that you need something. Another area that you may run into an issues is when you need something, but you can get by with a more basic model. For example, you need a car to get back and forth to work, but you do not need the latest Lexus or BMW. Be sure that you are not justifying going into debt for things you really do not need. You know you need to pay off your debt, but you are not going to worry about it. You pay extra when you can, and eventually things will be okay. The truth is that you need to come up with a solid debt payment plan if you want to get out of debt. A big part of that is getting on a written budget and cutting your spending so you can pay off your debt more quickly. Many people will mistakenly hold onto debt, because they can claim it on their taxes. The truth is that even though you claim the interest on your taxes for your federal student loans and mortgage, you only get to deduct a percentage of it and it is phased out as your income increases. If you do the math, it does not make sense to keep shelling out thousands of dollars in loan payments each year so you can save a couple of hundred dollars on your taxes. Although you may put these loans at the end of your debt payment plan, you should still work on paying them off as quickly as possible. When you have a lot of debt, you may think that you can never make a difference in your debt. It can be frustrating when you create a plan and realize that you may be working on paying down your debt for more than a year. It can be difficult to keep making sacrifices, when you feel like the return is a long way off. However, if you do not become proactive and start changing your situation, it will continue to get worse. You can pay off your debt if you make it a priority. It is important to motivate yourself and reward yourself as you hit different milestones. This can help you stick with it. Should I Consider Loan Consolidation to Get Out of Debt? You're Out of Debt. Now What? How Can I Tell How Much Debt I Have? Should I Consider Using a Consolidation Loan to Get Out of Debt?